Tabernacle Basic Blessings began in 2017 after one of our adult Sunday School classes finished a study in the book of Acts. They wanted to apply the compassionate and caring lessons learned into a realistic ministry in our community. “TBB” is designed to reach out to those who are struggling to afford basic necessities to their families. As you may know, there are plenty of food banks in our area, but there are few that give out the basic needs such as toothpaste, shampoo, soap etc. Tabernacle Basic Blessings is now helping to provide these basics on the third Saturday of each month. A distribution is held in Michael hall from 10-11am for those in the Lower Township area. We are encouraged to see this ministry growing and meeting the needs of those in our community. A list of items that are needed is posted on the church website and bulletin boards. Below are a list of necessities that are needed: Baby wipes, Baby Rash Ointment, Baby Wash, Bandaids, Body soap, Chapstick, Deodorant, Denture Supplies, Diapers, Dish soap, Feminine Products, First Aid Ointment, Hairbrushes/ Combs, Hand Sanitizer, Incontinence pads, Kid’s Shampoo, Laundry soap, Lotion, Pull ups, Shampoo, Conditioner, Shavers, Shaving creme, Sunblock, Tissues, Toilet paper, Toothbrush / Floss, Toothpaste, Washcloths. Please pray about your involvement as we take the next step to change lives, transform the community, and renew the church. Please contact Tina Kelly at (609) 972-1697 for more information or to make a donation. Men's Bible Study / Prayer Fellowship -6am on Wednesday's in the Sanctuary, Women's Bible Study-10am on Wednesday's in the Brown Room. Other events throughout the year for spiritual renewal include Revival Week and Church Retreats. 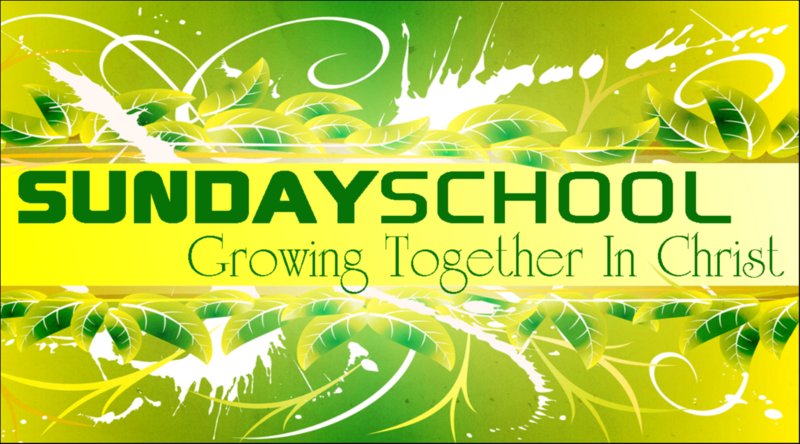 Please check our Sunday School page for information specific classes. secretary if you would like to get in touch with the Tabernacle UMW. The UMMen's group was reformed in 2016 with the Palm Sunday Methodist Men's Breakfast which was hosted at Tabernacle UMC. The men meet on the 3rd Saturday of the month at 8am. They will be taking a short respite during the months of June, July and August and resume their meetings in September. All men are invited to attend their meetings which usually have a very interesting guest speaker as well as a fellowship and refreshment time. Regular meetings are held at the Rio Station in Rio Grande, NJ. Occasionally, special meetings are held elsewhere.